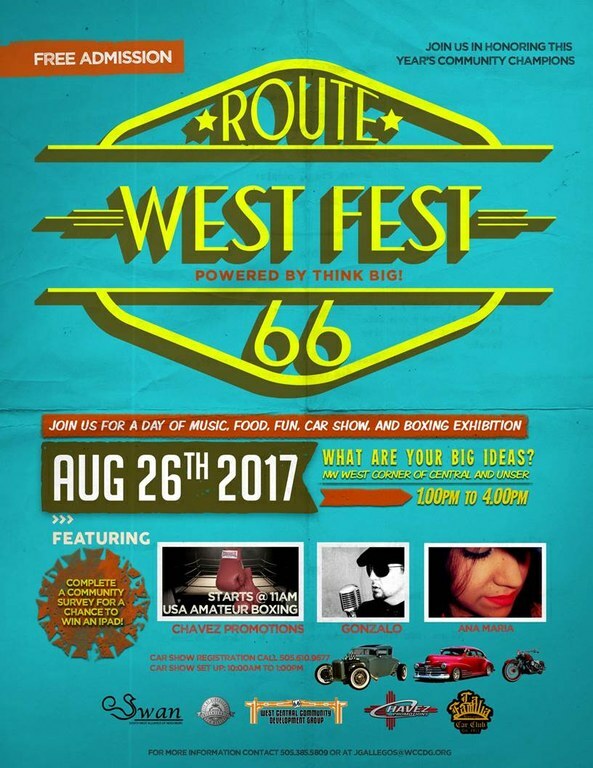 Albuquerque, NM - You are invited to join City Councilor Klarissa Peña at WestFest- Think Big, a community event to be held on Saturday, August 26th from 1:00 - 4:00 PM at the NW corner of Central and Unser on Albuquerque’s Westside. 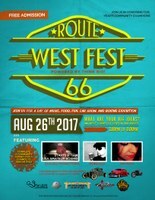 Come enjoy a day of music, food, fun, car show, and boxing exhibition. Residents will have an opportunity to complete a community survey for a chance to win an iPad. Community organizations and government agencies will have informational booths to provide service and program information to community residents. For more information, please contact Jerry Gallegos, [email protected], 505-385-5809 or visit the WCCDG website, www.wccdg.org.